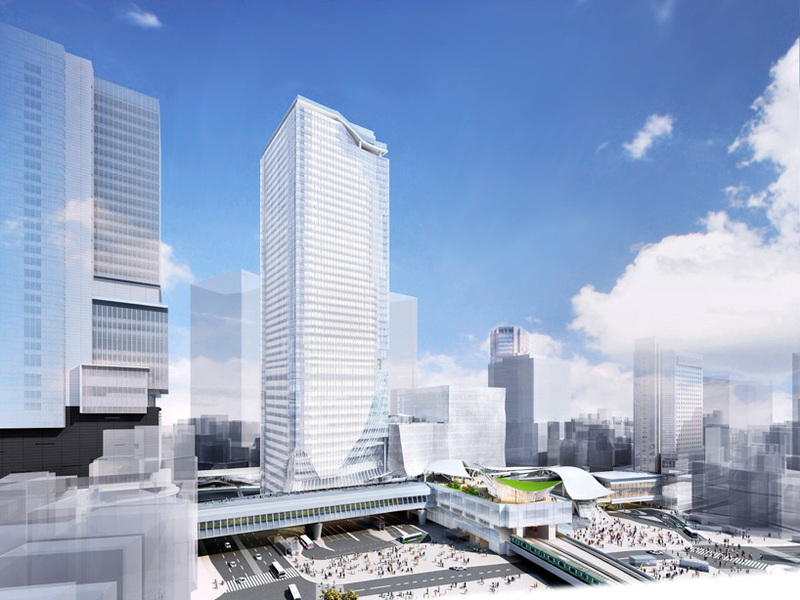 TOKYO SKYSCRAPER WITH ROOFTOP PLAZA | "Global Possibilities"
toyko is set to add another structure to its distinctive skyline – a 230 meter skyscraper that will present 360 degree views across the japanese capital. 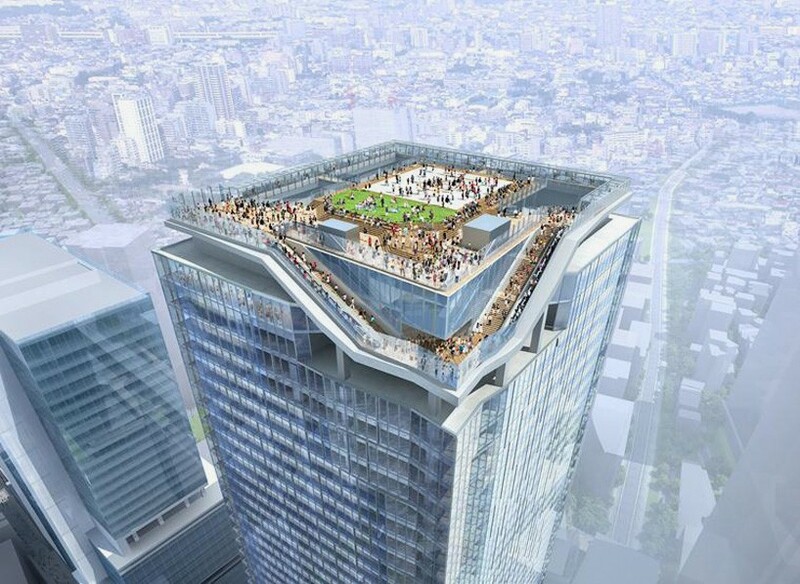 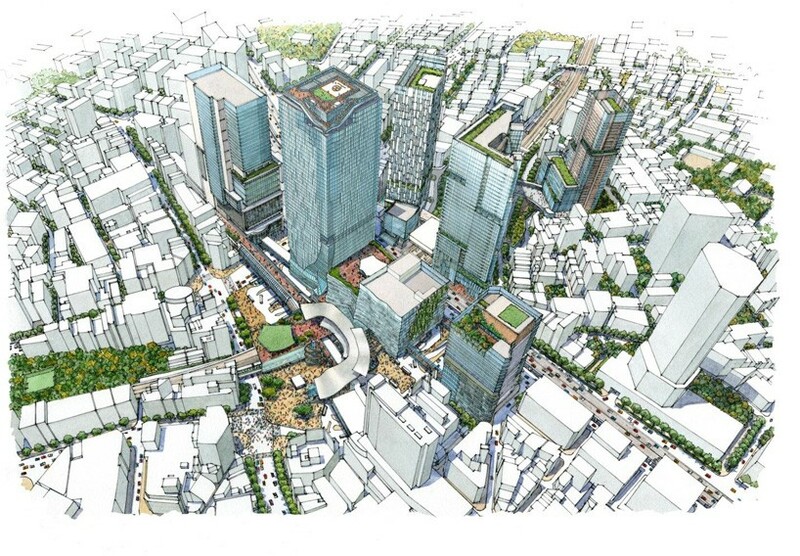 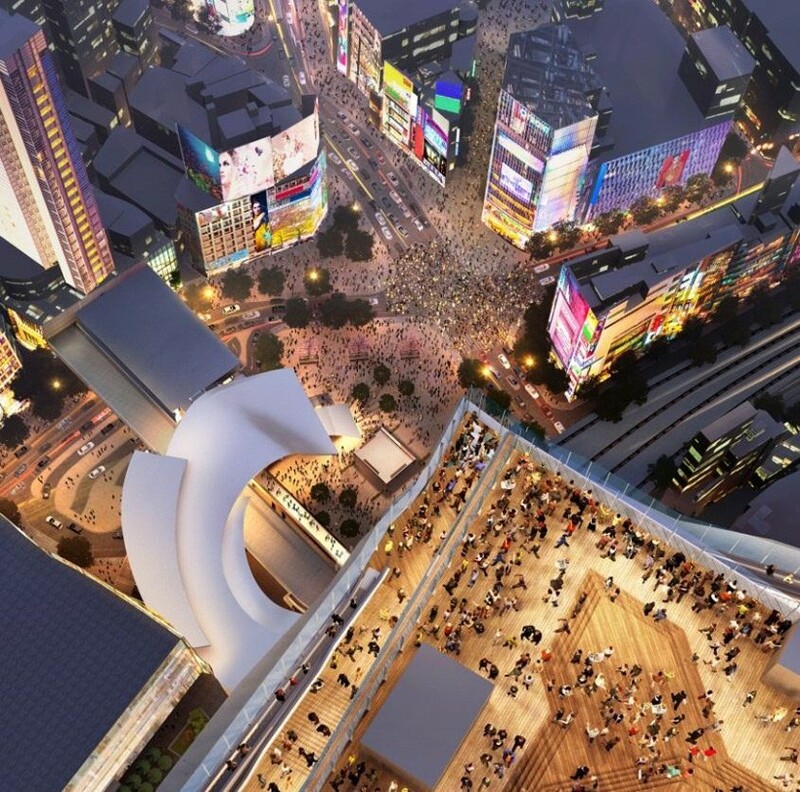 revealed by the tokyu corporation, the collaborative team of SANAA, kengo kuma and nikken are responsible for the tower’s design, which is slated for completion by 2019.
located in the tokyo’s shibuya district, the scheme’s crowning feature is a rooftop plaza measuring 3,000 square meters. 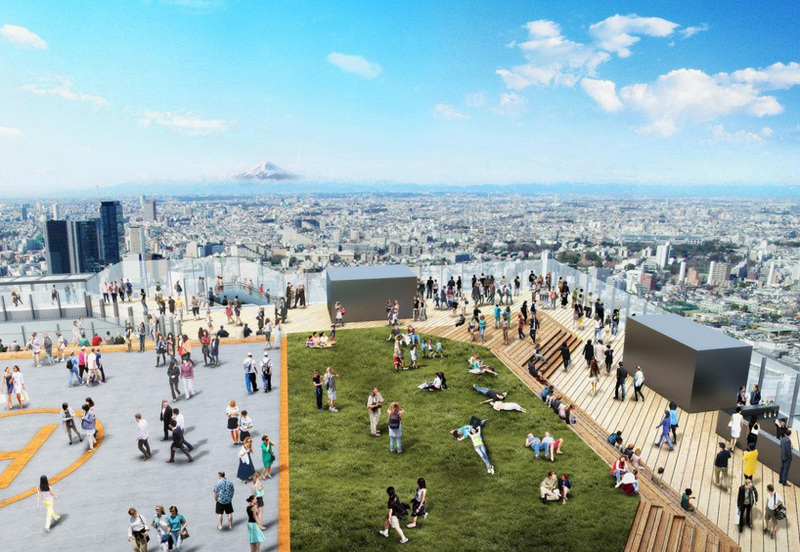 from here, visitors are offered sweeping vistas towards some of the city’s most recognizable landmarks. 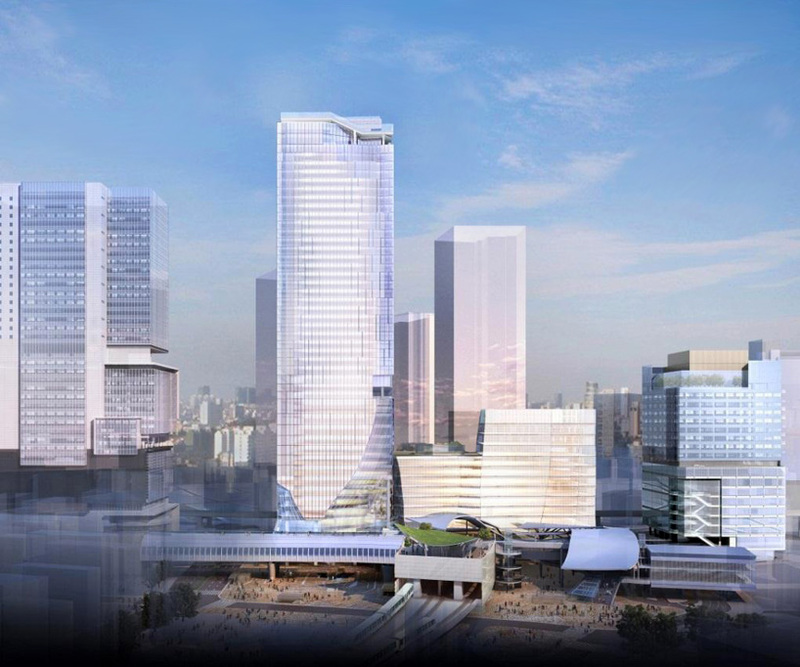 beneath the landscaped sky deck, the mixed-use tower will contain a range of programs, hosting a variety of retail outlets, offices and other cultural draws.